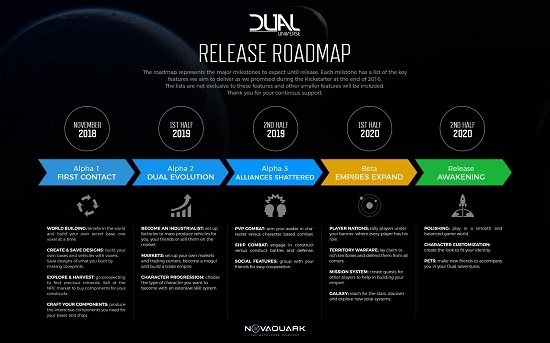 Novaquark has revealed a new roadmap for the development of Dual Universe. The first alpha event is set for November 2018. The game will go through further alpha and beta tests until the “second half 2020” release date. There are five major milestones targeted by the team, each with a specific set of objectives and features to be added to the game.